There stands the glass. Imagine it. That’s the trick, isn’t it. The reveal. The card flop. The turn of a page. Either or. This or that. How we imagine the glass reveals so much about ourselves. Something at the core of ourselves. Something from which our attitude stems and grows. Something naive. Something hopeful. Something cynical. Something dismissive. In truth the glass is neither. The glass simply is, with liquid inside it, reaching to whatever level its mass will allow, as determined by the shape of the glass. But viewing the glass as one or the other suggests whether we are happy or sad, suggests whether we are hopeful or riddled with doubt, suggests how we move towards the future, or how we might be chained to the past. Here at the end of the year, with winter making short days of it, with family members gathering to celebrate holidays, I find myself sometimes alone, even in rooms full of people, internalizing thoughts and concerns. Sometimes feeling like a puppet of myself, acting out of a sense of kindness to others when they gather to pray over a meal, and my arms move in tandem motions, instead of inciting an argument about religion and religious practices. I suppose in moments like that, the glass might seem half empty. But it does not feel like that to me. I look at these moments and see the hope that threads through people’s lives. The joy they experience with each other, no matter how different we may be, because of those differences, joy and hope can often thrive. 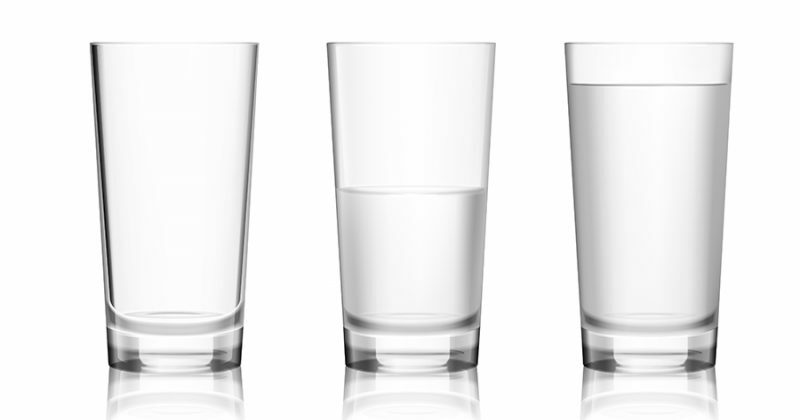 I choose to view the glass as half full. I choose the future. I choose hope. It is an attitude or belief system that I decided to adopt back in 2006. I cannot recall the exact moment I decided to change. Perhaps there was never one exact moment. It is much more likely to be a series of events or encounters. A lifetime being poured into the glass that it is me. And perhaps when physically viewing myself in a mirror or reflection in a window, perhaps I just began to feel more full instead of being empty. It would be nice if it was that easy. But life is rarely that accommodating. Like you, I have some difficulties in my life. I have had things I had to overcome. Things I needed to work through. My difficulties may be not be as intense as what you experienced, or they be be worse than what you have been through. It does not matter. We all have our own lives and have to live them, fight with them, fight for them, and stand tall or stand small, as a result of our lives and our attitudes towards such simple things, such as how we see that metaphorical glass. In 2006 I had been living in the city of Portland for a decade, and I was seeking an answer to the cynicism that I felt all around me. It was a pervasive debilitating feeling. A feeling that was so easy to adopt. It was easy to be dismissive. Easy to be dark. Easy to be judgmental or mean. But it did not make me feel good. It did not make me feel better. I wanted to smile. I wanted joy. I wanted to feel good. I wanted other people to look at me and see me as I hoped I could be. I wanted there to be a possible future. And gradually I came to realize, a future such as that does not just happen. It is not the result being born into better situations than myself. It is a future that you have to create yourself. In 2006, I looked to things that brought me joy. One of those things was and continues to be, music. I was surrounded by music. I had arranged my life around music. I was working in music retail. As I had been for most of my adult life. I was collecting records and cd’s. Constantly finding new songs and albums. 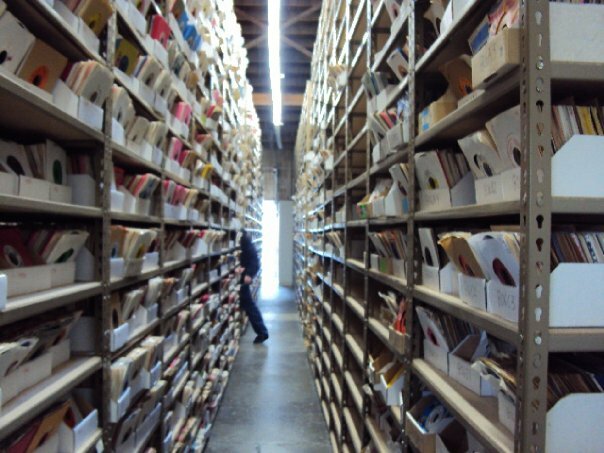 Record collecting being a lot like the staircase in an Escher painting. Each album leads you to another album. Each album being the result of some other album’s influence. Or perhaps on an album, the band or artist had recorded a cover song. Then of course I had to seek out the original version, which lead me to other discoveries. So like that aforementioned staircase, I would go up, down and all around, never really arriving. What was missing from the music in my life though was the aspect of sharing. Sure I would occasionally put together a mixtape for someone now and then. One memorable such tape was while I worked at Music Millennium, I got into a conversation with a customer about surf music, and so made him a tape of instrumental surf songs. I think a year or so later I meet that same customer again, and he was gushing with joy and thanked me profusely for the tape. And although making tapes and sharing seemed to be the point of having all of the records in my collection, instances such as this were infrequent. As part of the change I wanted for myself. I turned to my own past and invoked a time in which I felt the joy I was now seeking. 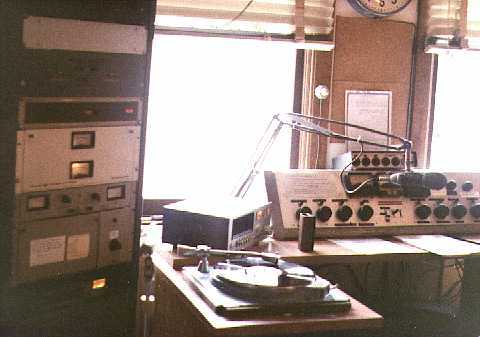 That time was when I was part of local community radio station, KAZU in Pacific Grove California, before I had moved to Portland. 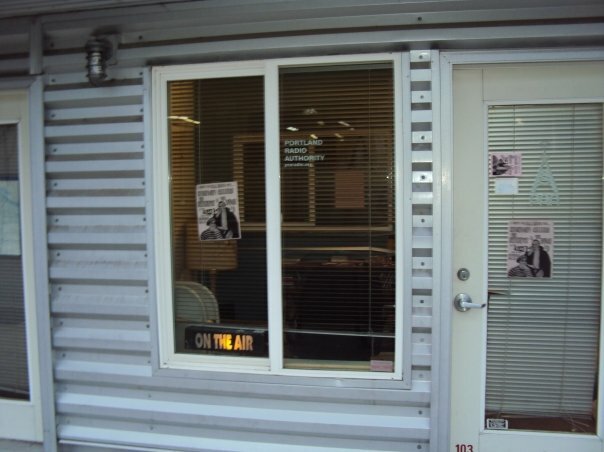 I had a radio show in California for eight years prior to relocating to the pacific northwest, and loved going to the station each week to play records. Often as I would segue from one song to the next, I would re-discover the joy of music myself. Somehow in the move from California to Oregon, I left that part of myself behind. That public persona. Somehow over the course of a decade I made what could be described as a conscious effort to suppress that aspect of myself. The reasons for which seem almost silly. Moving to Portland, a much larger city than Pacific Grove, I felt uncool. I felt unworthy. I would often run into people who seemed cooler, or smarter than myself. I felt I did not measure up. Half empty. I felt the challenge, and adopted to ignore it. But after a decade In Portland I felt differently. I wanted the the challenge. I wanted change. I sought out a circumstance for myself. I became a member of the Portland Radio Authority. An Internet radio station, that had been a pirate radio station just prior to the time i joined. I sought out a name for my show that had what I intended to have positive overtones. “It’s a nice world to visit.” With the word “nice” in the title, plus the word “visit,” I felt I was inviting people each week to go someplace other than where they were. Not here but there. I also took on a deejay name. Noah Fence. Thinking that be taking on a different name, I might project a different personality than I in fact possessed. In truth I think that name allowed true shards or bits of myself to come out. Nothing has made me more honest than a fake name. I filled the glass, and it has remained so ever since. Over time my radio show has moved from one station to the next. First moving to Xray.fm, when they started up, taking over some aspects of the Portland Radio Authority. And then quite happily I found my way to Freeform Portland after a series of personal hurdles. My show may not be the best show at Freeform Portland, or the worst show, may not be the most radical, the strangest, or most diverse, but it is my show. A show I present each week with the greatest of joy. Even on days when it is hard to get up and put together music for the show, due to circumstances at my work, or because the general tone of the news and the world is disheartening, once the music starts, there is nothing but happiness. Happiness that tingles like a sleeping limb waking up. Happiness that physically dances in place. Happiness that looks beyond the glass and sees the future. Here are a few example of songs that I find evocative. Songs that because they reveal the vulnerability of the artist, bring about a change in the listener. The sharing of such feeling and thoughts I hope will bring about a better future for us all. A challenging subject that John Lennon tackles with straightforward honesty and vulnerability. I find it to be a positive message for personal change and self-belief. One of three new songs included on the band’s career retrospective “Part lies, Part heart, Part Truth, Part garbage 1982-2011.” For people that jumped ship when the band signed to a major label, or became mega-popular, you missed out on some great music. On this song, from the end of their career, it isn’t what Michael Stipe is singing, as it is how he is singing it. The howl of his voice here spreads a chill down my spine each time I listen. Noah Fence hosts It’s a Nice World To Visit – Punk, Post-Punk, Garage Rock, Psych…A mix of new tracks and old favorites. On Freeform Portland Radio.